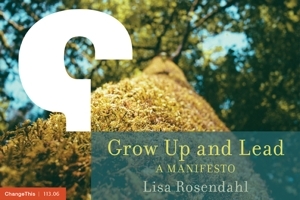 Lisa Rosendahl — Age Discrimination? I am mid way into my forties and I feel that I am being discriminated due to age. The only jobs I can get are two part time jobs. Should I fight the employers with the E.E.O. or not? I often tell staff that I want "just the facts, Jack" but in this case, I need a little more. Questions to ask yourself as you ponder your job search: what positions are you applying for? Are you qualified for the positions? Are you completing applications or submitting resumes? Are you putting adequate time into completing them to ensure they are accurate, thorough and reflect all of your skills and abilities? Are you receiving interviews? Are you preparing for them? Are you the best qualified for the positions you are applying/interviewing for? After considering questions such as these, do you really believe that your age is THE reason you are not being selected? Unfortunately, people to discriminate in hiring because of age and if this is the case for you you should know that any individual who believes that his or her employment rights have been violated may file a charge of discrimination with EEOC. The Age Discrimination in Employment Act of 1967 (ADEA) protects individuals who are 40 years of age or older from employment discrimination based on age. Under the ADEA, it is unlawful to discriminate against a person because of his/her age with respect to any term, condition, or privilege of employment, including hiring, firing, promotion, layoff, compensation, benefits, job assignments, and training. People are not selected for positions for MANY reasons and I encourage you to consider those first before alleging it is because of your age. If it is, there are resources available to you. I encourage you to contact the HR department of the company where you applied. Most companies have a staff member(s) responsible for EEO on site . She would be someone to listen to and address your concerns. Of course, you could seek resolution directly with the EEOC. Personally, as a person over 40 myself, I feel 40 is prime and in no way "old"! Comments anyone?